After a car accident, the visible damages like your injuries and your destroyed car are bad enough, but the invisible damages, such as future medical bills and lost wages, are often even worse in the long run. A Walla Walla car crash lawyer can help you get your life back. After a terrifying auto collision, the last thing you want to be worried about is how you will pay for the treatment you need. But insurance companies aren’t worried about your medical needs—they are too busy worrying about compensating you as little as possible. You need to get the most compensation possible because expenses you might not have considered, such as future medical bills, physical therapy, emotional distress, or lost wages, might also pop up. You can obtain all the compensation you need by filing a car accident injury claim. That doesn’t mean the process will be easy, though. A Walla Walla car accident lawyer from Craig Swapp & Associates can help you get all the compensation you deserve. Identifying the cause of your accident is imperative in proving you are not the at-fault driver. Proving who caused your crash is essential to receiving the compensation you need. Distracted or reckless drivers cause many Walla Walla auto accidents. That includes drivers who text while driving, those who drive under the influence, or those whose speeds are not reasonable for the conditions of the road. Many other factors can contribute to collisions, and a Walla Walla car accident attorney can evaluate and determine the cause of your accident. Defective Parts – If a manufacturer installed faulty parts, such as seat belts, brakes, or tires, and those defective parts led to your accident, then the manufacturer can and should be held accountable. Shoddy Mechanical Work – If a mechanic fails to fix your car properly, and those mistakes cause your accident, then the mechanic can be held liable. Poor Road Conditions – When your accident is caused by poor road conditions, such as potholes or incorrect signage, the government entity responsible for the maintenance of that road could be held responsible for your injuries. If you’ve been involved in a car accident that wasn’t your fault, you shouldn’t be held financially responsible for it. It might be tempting to take the first settlement the insurance company offers you, but that could be a mistake. Insurers commonly make low initial settlement offers in the hope that you haven’t yet considered the true impact of your damages. For example, you might need physical therapy for years after your accident. Who’s going to pay your therapy bills then? 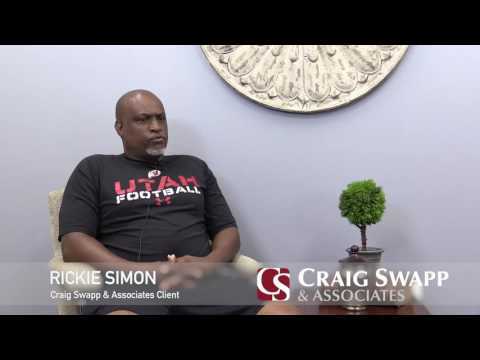 Maximize your claim for compensation by teaming up with Craig Swapp & Associates. We will use our years of experience and in-depth legal knowledge to make sure you get full and fair compensation for the accident that injured you. To get the help of a Walla Walla car accident lawyer, give us a call at 1-800-404-9000 or fill out the form below to schedule a free consultation.